Here on TechClient, everyday we present free best (HQ) resources for your web design & graphic design projects. Today we are going to share Free hand drawn rustic elements. 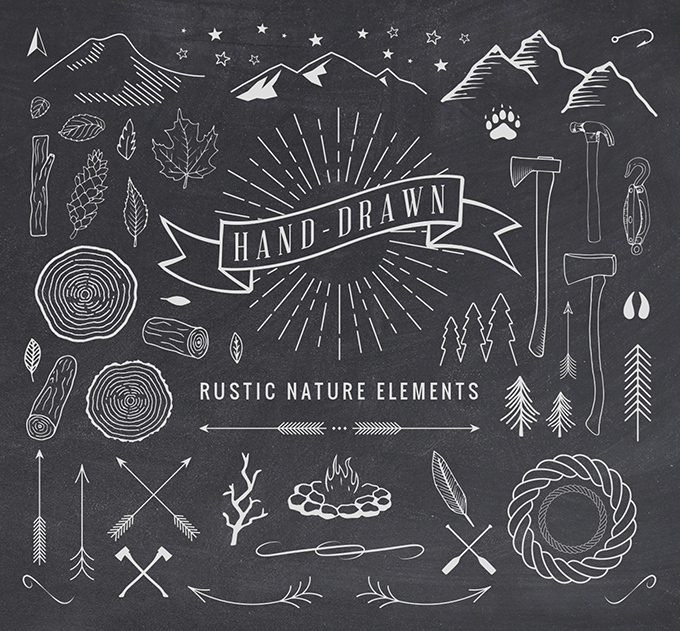 In this post we present Free hand drawn rustic elements that presented by pixelbuddha. What a joy to offer you this wonderful set, which includes 60+ outdoorsy elements, perfect for website, wedding invites, and all kinds of other uses. All elements are vector, of course. What you get is Illustrator AI and EPS files with editable vector objects; Photoshop PSD file containing all elements as scalable smart objects; and text file that explains where to download the free fonts used.